ASHBY FAMILY. This name derives from “the family that lives by the ash tree” The earliest families lived in Liecestershire. Ashbys settled in Australia and America in 19th century. The information below is taken from Parish Registers, Grewelthorpe school and census records & Memorial Inscriptions (M.I.) from Grewelthorpe churchyard. If you find this information helpful or if you have anything to add, please contact me. Letter from Charlie M.W.Ashby [May 2018]. My name is Charlie Ashby and I’m writing to you with a query about the Ashby family as shown on your wonderful website. My grandfather was Dennis Ashby, who sadly passed away quite young in 1988, whose father was Alfred Reginald Snowdon Ashby. Of course, it was beautiful to see my relatives on your site and being deeply situated in Yorkshire longer than I could fathom! I was however wondering whether you had any more information about some of the relatives? Particularly Anthony Ashby and Ann Raper (1734-1793). With the latter case, I’m following up on a potential royal link to the Plantagenet’s which is fascinating – but I just need a few extra snippets on information. If you can help Charlie please contact the site. Letter from Paul Nicholson of Leeds. April 2014. I was delighted to see your website on Grewelthorpe and in particular the list of people in the Ashby family. When I was very young my parents used to take me for short holidays to stay with a couple called Mr and Mrs Ashby at Scotton near Knaresborough. They lived at 4 Nidd View Cottages which are located on the second turning right into Scotton from the Knaresborough to Ripley road. I knew Mr Ashby as simply Bob Ashby. They had a daughter called Mildred who was committed to Menston Asylum for what could only be schizophrenia nowadays. She must have been in her teens when she started to commit violent acts and had to be committed. I have done some research and can now prove that his name was Robert Ashby but cannot rule out other Christian names. Also she was called Mary Elizabeth Ashby. I also know that she came from Wales and have in fact found a Mary Elizabeth Roberts born in Denbighshire that may well be her. She died on December 27th 1966 and was buried at Farnham Churchyard. The death notice in the Yorkshire Evening Post states that she was a widow of Robert Ashby.I have found a death record for a William Robert Ashby in MAR 1966 aged 78 , In the now defunct district of Claro which is the same district as that in which Mary Elizabeth Ashby’s death was registered.Searches in Ancestry and FreeBMD find a Mildred A Ashby born Knaresborough in 1912. And a death of Mildred A Ashby in Wakefield in1968. The mother’s maiden name is given as Roberts.And a marriage record exists for a William Robert Ashby and a Mary Elizabeth Roberts in Harrogate in February 1912. A 1911 census record for Wiiliam Robert Ashby gives his year of birth as approx. 1888 at Dallowgill Yorkshire (which is close to Laverton). I think the findings support the idea that William Robert Ashby is in fact the Bob Ashby from Scotton. What I would like to do is forge a link between Bob and his wife and the Ashby families that come from the Laverton area in the hope that I might find descendants of his brothers and sisters ( his daughter had no children of her own). If you can help Paul with his research, please contact the site. Letter from Janet Cox August 2015. Last year I read Paul Nicholson’s query about the Robert and Mary Elizabeth Ashby that he used to stay with in Scotton but at the time I couldn’t see a connection with my Ashbys. However, I now know that his Robert was actually William Robert Ashby and married to Mary Elizabeth Roberts. William Robert was the second son of Arthur Ashby and Ann Kirkley and thus a relation of mine. 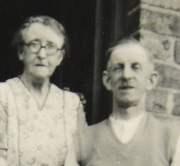 I found William Robert and Mary living with their daughter Mildred Ann at 4 Nidd View Cottages in Scotton in the electoral registers from 1932-1940. Sadly I don’t have any contact details for any of the descendants of Arthur Ashby and Ann Kirkley though I am sure that some still live in the Ripon/Knaresborough area. I would be happy to contact Paul with what I know of Robert’s family. ADELAIDE ASHBY. Bap. 13.7.1851. Buried 16.9.1851. Dallowgill. Dau of Robert & Ann. ADELAIDE ELLEN ASHBY. Bap. 5.10.1886 Dallowgill. Dau of Emily. AGNES ASHBY. Born C.1860 Knayton.Dau of John & Hannah Bellwood. ALAN ROLAND ASHBY. Born 16.9.1925. Died 2000. Grewelthorpe. Son of Percy of Raby Cottage & Jennie Edith Thorpe. Attended Grewelthorpe school from 1932.Left for Ripon Modern school 1939. Lived Raby Cottage. ALBERT ASHBY. Bap.27.11.1864 Dallowgill. Son of William & Mary Ann. Witness at wedding of Anthony Ashby & Hannah Cartman. 1882. ALBERT ASHBY. Bap. 24.2.1892. Dallowgill. Buried 10.12.1893 Dallowgill. Son of Arthur & Anne. ALBERT CYRIL ASHBY. Born 22.5.1908. Died 23.10.1985.Son of Anthony & Hannah Cartman.. Started Grewelthorpe school 3.4.1916. Left age 14 in 1922. Husband of May Wilson. Lived Holmefield Grewelthorpe. ALBERTA ASHBY. Bap 20.10.1878 “Dallowgill”. Dau of William & Mary Ann. Living in Ripon as a servant in 1901. ALICE M. ASHBY. Born C. 1868 Knayton. Dau of John & Hannah Bellwood. ALICE ASHBY [Nee King]. Born 1870 Aldfield. Dau of John King & Ann Cundall. Married John William Ashby in 1870. ALFRED REGINALD SNOWDON ASHBY. Born 16 July 1900.Grantley. Died 1969. Son of Alfred & Hannah. Husband of Ethel Mary Jackson. Corporation Gardener in 1939 in Bridlington. ALFRED ASHBY. Bap.4.9.1859 Dallowgill. Died Dec 1925. Ripon. Son of William & Mary Ann. married to Hannah Mary Ellen Lonsdale. he was an estate labourer in Grantley in 1901. In 1911 he was a widower with 3 children. ALVIORA ASHBY. Born June 1873. Ref 9a 73. ALVIRA ASHBY. Born C1873. Died June 1894 Buried Grewelthorpe. Dau of William & Mary. Lived Laverton. In the 1891 census ALVIRA is a servant aged 18 working for Christopher Simpson a farmer in High Lofthouse, Nidderdale, born in Dallowgill. ALVIRETTA ASHBY. Bp. 9.2.1882 Dallowgill. Dau of William & Mary Ann. ALVERINA ASHBY. Bap.16.4.1876. Dau of William & Mary Ann. of Kexmoor. In the 1891 census ALVERINA is a servant aged 15 working for Joseph Petty at Thwaite House, Kirkby Malzeard born in Laverton. Married on 30.11.1896 at Kirkby Malzeard church to William Dobby. [b.1870] son of Enoch Dobby. ALVIRA ANN ASHBY. Bap. 20.10.1895 Dallowgill. . Dau of Arthur & Ann Kirkley. Servant in 1911 to a head teacher in Dallowgill. AMOS ASHBY. Bap 12.10.1845 Dallowgill. Son of Anthony & Hannah. Living Grantley 1911. ANN ASHBY [nee Raper]. Born 1739 Dallowgill. Died 28.5.1793. Married John Ashby of Dallowgill. 29.7.1759. ANN ASHBY. Born 6.9.1761 Dallowgill. Bur. 17.11.1774. Dau of John of Dallowgill & Ann Raper. ANN ASHBY. Born C. 1775. Buried 14.3.1851 Dallowgill. ANN ASHBY. Born 6.9.1778 Dallowgill. Died 18.9.1805 Kirkby Malzeard. Dau of John of Dallowgill & Ann Raper. ANN ASHBY [nee ALLANSON]. Born 1774 Kirby Malzeard. Married John Ashby in 1791. ANNE ASHBY. Born C.1798. Buried 16.7.1878 Dallowgill.ANN ASHBY [Nee ?]. Born C.1809 Dallowgill. Buried 26.5.1880 Dallowgill. Married Robert. [b.1815] Lived Greygarth Laverton in 1871. ANN ASHBY. Born C.1837 Copt Hewick. Wife of Robert. Grandmother of Gertrude & Thomas Bagier. ANNA MARIA ASHBY. Bap.11.1.1846 Dallowgill. Dau of Robert & Ann. ANN ASHBY. Born C. 1854 Devon. Dau of Christopher & Dorothy. ANN ASHBY. Born C. 1856. Bap. 1.3.1863. Kirkby Malzeard. Dau of Joseph & Ann. ref. 1861 census and Kirkby Mal. Par Reg. ANNA M. ASHBY. Born C1892. Dallowgill. Dau of Anthony & Emily. ANNIE AMELIA ASHBY. Born C.1890. Died 23.9.1958.M.I. Wife of Robert. Lived Greystones, Grewelthorpe. ANTHONY ASHBY. Born 1692 Dallowgill. Married to Bridget b.1696 bur. 29.1.1772 Kirkby Malzeard. ANTHONY ASHBY. Born 1718. Son of Anthony of Dallowgll & Bridget. ANTHONY ASHBY. Bap.11.2.1772.Dallowgill. Buried 24.1.1844. Kirkby Malzeard. Son of John of Dallowgill & Ann Raper. In 1816, a trust was formed by 15 men, 10 from Dallowgill, and a piece of land was bought for £2.10s from Anthony Ashby at Greygarth, to build a chapel. ANTHONY ASHBY. Born C.1809. Buried 10.1.1877 Dallowgill. Lived Galphay. ANTHONY ASHBY. Born C. 1815. Buried 4.9.1849 Dallowgill. ANTHONY ASHBY. Born C. 1838. Dallowgill. Buried 20.3.1839 Kirkby Malzeard. ANTHONY ASHBY. Bap.3.10.1847 Dallowgill. Died in 1934. Son of Robert & Ann. Grocer, living Greygarth Laverton in 1871. Married to Emily Ashby in 1898. She died in 1928. ANTHONY ASHBY. Born C. 1855.Died 10.3.1918.M.I. Son of William & Mary Ann. of Dallowgill. married on 19.4.1882 at Kirkby Malzeard church to Hannah Cartman. [b.1864] dau of John Cartman. of Azerley. They had 10 children. Lived at Drovers Inn, Dallowgill in 1890’s. 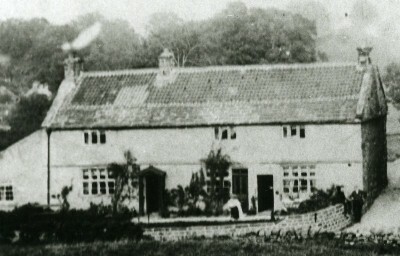 1911 living in Grewelthorpe with 5 children. Witness to their wedding was Albert Ashby. Drovers Inn. Dallowgill. 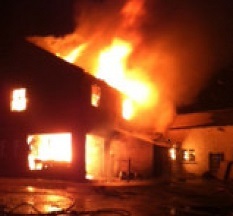 Destroyed by fire in April 2013. ANTHONY ASHBY. Bap. 11.3.1855 Dallowgill. Son of William & Mary Ann. ANTHONY ASHBY. Bap. 14.4.1890 Dallowgill. Buried 17.4.1890 Dallowgill. Son of Anthony & Emily of Greygarth, Dallowgill. ARTHUR ASHBY. Bap.31.5.1857 Dallowgill. Son of William & Mary Ann. Married Ann Kirkley. in 1882 possibly at Middlesmoor. Lived Dallowgill and had 7 children. ARTHUR ASHBY. Born C. 1859. Buried 10.1.1900 Dallowgill age 41. ARTHUR ASHBY. Bap. 26.11.1882 Dallowgill. Son of Arthur & Ann Kirkley. ASA ASHBY. Born 9.10.1869. Bap. 26.12.1869 Dallowgill. Dau of William & Mary Ann. Married to Maggy of Leeds in 1898. Living Hackfall Mount in 1939. ASA ASHBY. Born C. 1879 Dallowgill. Died Feb 1940. Funeral at Grewelthorpe. Lived Hackfall Mount Grewelthorpe. BRIAN CYRIL. Born 22.8.1940. Bap.29.9.1940.Son of Albert Cyril (Carpenter) & May. BRIDGET ASHBY. Bap.7.8.1781 Dallowgill. Died 21.11.1847 Rimington.Dau of John of Dallowgill & Ann Raper. CATHERINE ASHBY [nee ?]. Born C.1827. Dallowgill. Buried 8.11.1901 Dallowgill. Wife of Henry of Drovers Inn. CHARLES ALBERT. Born C. 1876 Galphay. Son of Robert (Gamekeeper)& Ann. CHARLES ASHBY. Of Grantley. Died 4.10.1907. Probate to George Craggs. Farmer. Effects £243.6s.10d. CHARLES ERIC ASHBY. Born 24.6.1924. Died 2000. Son of Percy of Raby Cottage & Jennie Edith Thorpe. Came from Kirkby Malzeard to start Grewelthorpe school 29.2.1932. Left to go to Ripon Grammar school in 1936. Painter & Decorator. Husband of Jean. Lived Hillcrest Grewelthorpe. On 1939 register with parents. CHARLOTTE ASHBY. Bap.9.3.1856 Dallowgill. Dau of John [The Shoemaker] & Catherine. CHRISTOPHER ASHBY. Born 1818. Grewelthorpe. Son of John & Martha. Married Dorothy Kidd. in 1842. Living Bedale 1861. CHRISTOPHER ASHBY. Born C. 1851 Devon. Son of Christopher & Dorothy. CHRISTOPHER ASHBY. Born C.1869. Galphay. Son of Robert (Gamekeeper) & Ann. DOROTHY ASHBY. Born C. 1818. Settle. Wife of Christopher. Living Bedale 1871. EDITH JEANNIE ASHBY [nee THORPE]. Born 1901. Married Percy Ashby in 1924. Living Kirkby Malzeard. 1931. EDWARD RICHMOND ASHBY. Died 25.7.1913 Harrogate. Admin to Christopher Ashby. seedsman. Left £101. ELLEN ASHBY. Born C.1865. Markington. Dau of Robert (Gamekeeper) & Ann. ELI ASHBY. Born C.1858.Buried 27.8.1861. ELIZA ASHBY. Born C. 1866. Dau of Robert & Ann. Married ? Hodgson. Had dau Ann b.1887. Living Wath 1901. ELIZABETH ASHBY. Born 27.6.1725 Dallowgill. Died 5.12.1791 Ripon. Dau of Anthony & Bridget. Dallowgill. ELIZABETH ASHBY. Born 30.9.1759 Dallowgill. Died 1.8.1811. Dau of John of Dallowgill & Ann Raper. ELIZABETH ASHBY. Born Kirkby Malzeard. Married John Braithwaite. of Kirkby Malzeard on 17.2.1777 in Kirkby Malzeard. ELIZABETH ASHBY. Bap. 28.10.1849 Dallowgill. Dau of Matthias & Ann. EMMA ASHBY. Born C1883 Sawley. Dau of Alfred & Hannah. EMILY ASHBY. Bap. 7.8.1859 Dallowgill. Dau of John [The shoemaker] & Catherine. EMILY ASHBY. Born C. 1860 Dallowgill. Dau of Henry & Catherine of Drovers Inn. EMILY ASHBY. Born C.1895. Bap. 4.6.1904 Dallowgill. Dau of Anthony & Emily. Grocer of Greygarth Dallowgill. In 1911 she was a servant in Killinghall. ETHEL ASHBY. Bap.1.8.1926. Dau of Alfred Reginald Snowdon & Ethel Mary Jackson. EVA ANNIE ASHBY. Bap. 6.7.1890 Dallowgill. Dau of Anthony & Hannah of Laverton. EVA ASHBY. Born Aug. 1904. Died Feb 1990. Married Charles Albert Coldbeck. [see Coldbeck page]. Living Ripon in 1939. EVELYN ASHBY. Twin dau of Percy Ashby of Raby Cottage & Jennie Edith Thorpe. Grewelthorpe. Married Richard William Frankland. only son of Robert Frankland. of Hill top Farm, Grewelthorpe in 1954. Best Man was Roland Ashby. EVERARD ASHBY. Bap. 2.10.1898 Dallowgill. Buried 8.11.1899 Dallowgill. Son of Arthur & Anne. FRANCIS HENRY ASHBY. Bap 6.11.1852 Cowesby. Son of John of Grewelthorpe and Jane Bellwood. FRANK ASHBY. Born C. 1858. Devon. Son of Christopher & Dorothy. FRED ASHBY. Born 18 March 1884 Dallowgill. Died 1960. Lived Dallow Cottages, Grantley. Son of William & Mary. In 1911 he was unmarried and a Dock Labourer. living with parents. In 1939 an unmarried estate labourer living with his widowed Mother Mary [born 1859]. GEORGE ASHBY. Born C1835 Laverton. Son of Anthony & Hannah Cartman. GEORGE ASHBY. In 1864 George of Dallowgill was sentenced to 6 months imprisonment with hard labour for stealing £38 from his brother Robert. Ref. Leeds intelligencer 1864. GEORGE HENRY ASHBY. Born 27 June 1881. Married in 1905 to Louisa Hardcastle. [born 1880]. Road sweeper in Ripon in 1939. GEORGE W.ASHBY. Born C1882. Son of Matthias & Hannah Carling. GEORGE E.ASHBY. Born 15 Nov 1894. Married to Eliza M. [born 1895]. Living Galphay in 1939. HANNAH ASHBY. Born C. 1807. Buried 16.10.1867 Dallowgill. Lived Grantley. HANNAH ASHBY [Nee BELLWOOD.] Born C. 1832 Knayton. Wife of John. HANNAH ASHBY. Born C.1865. Died 25.10.1923. Wife of Anthony. HENRY ASHBY. Born C. 1831 Dallowgill. Married to Mary of Dallowgill. Licensee of Drovers Inn, Dallowgill 1881. HENRY ASHBY. Born C.1833. Buried 14.7.1891 Dallowgill. Son of William & Ann. Lived High Belford, Dallowgill. HENRY ASHBY. Born C.1856 Lynton, Devon. Son of Robert (Gamekeeper) & Ann. Living Wath 1901. HERBERT ASHBY. Born 3.1.1903. Mickley. Son of Anthony & Hannah Cartman. Started Grewelthorpe school 3.4.1911. Left age 14 in 1916. 1911 living Grewelthorpe. In 1939 A lorry driver married to Mabel Ashby living Laburnam Cottage Grewelthorpe. ISABELLA ASHBY. Born C.1872 Galphay. Dau of Robert (Gamekeeper) & Ann. JANE ASHBY. Born C. 1764. Buried 5.3.1852 Dallowgill. JANE ASHBY. Born C. 1848 Devon. Dau of Christopher & Dorothy. JANE A.ASHBY. Born C. 1849 Kirkby Malzeard. Dau of Joseph & Ann. Ref. 1861 census. JANE ANN ASHBY. Bap. 29.5.1849. Kirkby Malzeard. Dau of Thomas & Ann. JANE ANN ASHBY. Bap. 24.10.1879 Dallowgill. Dau of William & Mary Ann. JOHN ASHBY. Born 20.2.1728 Dallowgill. Died 17.11.1801 Greygrete Dallowgill. Son of Anthony & Bridget. Married Ann Raper. 29.7.1759. JOHN ASHBY. Born 15.6.1766 Dallowgill. Died 30.10.1883 [age 117?] Son of John of Dallowgill & Ann Raper. Married Ann Allanson. in 1791. JOHN ASHBY. Born C. 1796. Dallowgill. Buried 12.4.1862. Son of John & Ann Allanson. Married Martha of Masham in 1815. JOHN ASHBY. Born C1796. Buried 6.3.1877 Dallowgill. JOHN ASHBY. Born C. 1821 Grewelthorpe. Died 1888. Married  Jane Bellwood. on 6.5.1848 in Cowesby. Had 3 children. Married Hannah C1866. Living nayton 1871. JOHN ASHBY. Born C. 1826. Buried 10.5.1863 Dallowgill. Married to Catherine of Dallowgill. He was a shoemaker. JOHN ASHBY. Born C. 1832. Buried 28.10.1856. Dallowgill. Lived Wakehill, Dallowgill. JOHN BELLWOOD ASHBY. Bap 23.9.1849 Cowesby. Died 1901. Son of John of Grewelthorpe & Jane Bellwood. Married Elizabeth Milner. on 2.6.1888. JOHN ASHBY. Born C. 1855. Bap. 1.3.1863. Kirkby Malzeard. Son of Joseph & Ann. Ref. 1861 census. & Kirkby Mal. Par. Reg. JOHN WILLIAM ASHBY. Born 27.4.1866. Bap. 17.6.1866 Dallowgill. Son of William & Mary Ann. Married Alice King. of Aldfield in 1890. JOHN THOMAS ASHBY. Bap. 22.7.1883 Dallowgill. Son of Anthony & Hannah. Cross Hills, Dallowgill. JOHN WILLIAM ASHBY. Born C1892. Grantley. Son of Alfred & Hannah M.E. JOHN WILLIAM KING ASHBY. Bap. 19.8.1895 Dallowgill. Son of John William & Alice of Barnsley. JOHN F.ASHBY. Born C.1897 Ripon. Son of Matthias & Hannah Carling. JOHN ROBERT ASHBY. Born 9.6.1921. Bap. 10.7.1921. Son of Emily of Greygarth, Dallowgill. JOHN ASHBY. 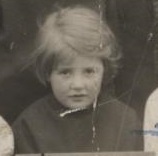 Born C.1926. Killed 12.7.1943. M.I. Son of Robert & Annie of Hackfall Mount. Started Grewelthorpe school 13.4.1931. Left age 14 in 1939. JOHN T. ASHBY. Born April 20 1932. Son of Herbert & Mabel. JOHN WILSON ASHBY. Bap.23.10.1949. Son of Albert Cyril (Carpenter) & May. JOSEPH ASHBY. Born C. 1823 Kirkby Malzeard. Married to Ann b.1824. In 1881 he was a widower. JOSEPH ASHBY. Born C 1840 Dallowgill. Son of John & Margaret James. KATE ASHBY. Born C1894 Ripon. Dau of Matthias & Hannah. LAURA ASHBY. Bap. 26.11.1893 Dallowgill. Dau of Anthony & Hannah of Drovers Inn, Dallowgill. LEONARD ASHBY. Bap. 27.12.1890 Dallowgill. Son of John William & Alice King. of Beckmeetings, Dallowgill. LILY ASHBY. Born 1879. Studley Royal. Dau of Robert (Gamekeeper) & Ann. MALINA ASHBY. Born C. 1860. Bap 1.3.1863 Kirkby Malzeard. Kirkby Malzeard. Dau of Joseph & Ann. Ref. 1861 census. & Kirkby Mal. Par. Reg. MARGARET ASHBY. Born C. 1807. Buried 18.9.1859 Dallowgill. MARGARET ASHBY. Born C.1830 Dallowgill. Domestic servant 1851 census. MARGARET ASHBY. Bap.24.11.1844 Dallowgill. Dau of John & Margaret James. MARGARET WILSON ASHBY. Bap. 10.7.1859 Dallowgill. Died an infant. Dau of Robert & Ann. MAGGIE ASHBY. Bap. 8.10.1893 Dallowgill. Dau of William & Mary. MARIA ASHBY. Bap.1.10.1848 Dallowgill. Buried 8.3.1850. Dallowgill. Dau of Anthony & Hannah. MARIAN ASHBY. Born 16.3.1929. Dau of Percy of Raby Cottage & Jennie Edith Thorpe. Twin of Evelyn. Attended Grewelthorpe school from 1933. Left for Ripon Modern school in 1940. Married Robert Ascough. MARTHA ASHBY. Born C. 1790 Masham. Buried 9.11.1858. Wife of John. MARTHA ASHBY. Born C. 1834. Buried 26.2.1852 Dallowgill. MARTHA ASHBY. Born C. 1838. Buried 1.2.1859 Dallowgill. Lived Crosshills, Dallowgill. MARTHA ASHBY. Bap. 27.3.1853 Kirkby Malzeard. Dau of Joseph & Ann. Ref. 1861 census. MARTHA ANN ASHBY. Born C. 1856 Grewelthorpe. Servant in Knaresborough in 187. MARY ASHBY. Born C. 1791. Buried 15.10.1850 Dallowgill. MARY ASHBY. Born C. 1801. Buried 16.10.1849 Dallowgill. MARY ANN ASHBY. Born C. 1834. Dau of John of Dallowgill. Married on 11.2.1854 at Kirkby Malzeard church to William Ashby. of Dallowgill. Son of William. In 1911 a widow living with son Asa in Dallowgill. MARY ANN ASHBY. Born 1837 Lady Hill, Dallowgill. Buried 24.11.1839 Kirkby Malzeard. MARY JANE ASHBY. Bap. 27.4.1851 Cowesby. Dau of John of Grewelthorpe & Jane Bellwood. MARY ASHBY. Born C. 1858 Kirkby Malzeard. Dau of Joseph & Ann. ref. 1861 census. MARY JANE ASHBY. Born C. 1868 Galphay. Dau of Robert (Gamekeeper) & Ann. MARY JANE ASHBY. Bap. 29.3.1885 Dallowgill. Dau of Arthur & Ann Kirkley. MARY H. ASHBY. Born C 1888 Grantley. Dau of Alfred & Hannah. MATHIAS ASHBY. Born C. 1840. Buried 31.8.1847 Dallowgill. MATTHIAS ASHBY. Born C1853 Grantley. Son of William & Elizabeth. Married Hannah Carling of Ripon in 1880. Had 7 children. MAY ASHBY [Nee Wilson]. Born C. 1906. Died 30.11.1954.M.I. Wife of Albert Cyril. Had a good soprano voice. A keen member of Grewelthorpe Choral Society. Member of Methodist guild. MILDRED ANN ASHBY Dau of William Robert & Mary Elizabeth Roberts. See Janet Cox letter above. MINNIE ASHBY. Bap. 16.5.1886 Dallowgill. Dau of Anthony & Hannah Cartman. of Laverton. Servant in Ripon in 1911. MINNIE ASHBY. Born 23.9.1921. Dau of Robert & Annie of Hackfall Mount. Started Grewelthorpe school 2.4.1928. Left age 14 in 1935. In 1911 she was a servant in Ripon. In 1939 she was an assistant in a millinery shop. Married ? Green. Minnie Ashby when she started school. NELLIE ASHBY. Born 23.11.1896. Pateley Bridge. Dau of Anthony & Hannah Cartman.. Came from Mickley National school to Grewelthorpe school 23.10.1906. Left age 14 in 1915. NORA ASHBY. Bap. 29.10.1889 Dallowgill. Dau of Arthur & Annie. OLIVER ASHBY. Bap. 5.7.1903 Dallowgill. Son of Jane Ann of Dallowgill. In 1911 living with grandparents William & Mary. PERCY ASHBY. Born 23.11.1896 Laverton. Died 1979. Son of Anthony & Hannah Cartman. Came from Mickley National school to Grewelthorpe school 22.10.1906. Left 1910. Served in WW1. West Yks Regt. No 25604. Married Jennie Edith Thorpe. in 1924. had 4 children. Still in Grewelthorpe in 1939. [Ref 1939 register]. RACHEL ASHBY. Born C1856 Grantley. Dau of William & Elizabeth. Sister of Mathias. REGINALD ASHBY. Born C 1901 Grantley. In 1911 he was a Boarder in Low Grantley with George Dawes. RICHARD ASHBY. Born C. 1830 Grewelthorpe. Son of John & Martha. ROBERT ASHBY. Born C. 1815 Dallowgill. Buried 1.4.1889 Dallowgill. Married Ann [b.1809] Lived Greygarth Laverton in 1871. ROBERT ASHBY. Born C1830 Grewelthorpe. Son of John & Martha. ROBERT ASHBY. Born C.1833. Grewelthorpe. Son of Anthony & Hannah Cartman. Husband of Ann. Gamekeeper.Living Studley Royal 1881 & Wath 1901. Grandfather of Gertrude & Thomas Bagier. born 1878 & 1877 in London. Father of Henry & Eliza. Grandfather of Ann Hodgson. [b.1887 Darlington]. ROBERT ASHBY. Bap.1.4.1849 Dallowgill. Buried 7.4.1849 Dallowgill. Son of Robert & Ann. ROBERT ASHBY. Born C1855 Laverton. Masons Labourer. Married to Mary Anne Watson. from Studley Roger. had an adopted daughter Jennie Calvert. [ref. 1891 census]. In 1911 Robert was a postman. ROBERT ASHBY. Bap.1.10.1863 Dallowgill. Son of Robert & Ann. ROBERT ASHBY. Born C. 1860 Bedale. Son of Christopher & Dorothy. ROBERT ASHBY. Born C. 1886. Laverton. Bap. 8.1.1888 Dallowgill. Died 28.5.1978.M.I. Son of Anthony & Hannah Cartman. of Laverton. Husband of Annie Amelia. In 1911 he was unmarried and a greengrocer living in Grewelthorpe with parents. He enlisted for WW1 as a driver in 1915. he was sent to Baghdad and was hospitalised with bronchitis and then sand fly fever. between 1917 & 1918. He survived the war and was back in UK in 1919. ALAN ROLAND ASHBY. Known as Roley. Born 16.9.1925. Died 2000 Grewelthorpe. Son of Percy of Raby Cottage. Attended Grewelthorpe school from 1932.Left for Ripon Modern school 1939. Lived Raby Cottage. SARAH ASHBY. Bap. 15.4.1769 Kirkby Malzeard. Died 27.5.1840. Dau of John of Dallowgill & Ann Raper. Married Ralph Lofthouse. on 7.4.1790 Kirkby Malzeard. SARAH ASHBY. Bap. 29.9.1811 K. Malzeard. Dau of William of Dallowgill. [Ref. K.Malzeard Par. Reg. ]*SARAH H. ASHBY. * Born C. 1858.Knayton. Dau of John & Hannah Bellwood. SELINA ASHBY. Bap. 11.6.1853 Dallowgill. Dau of John [The shoemaker] & Catherine. SELINA ASHBY. Born C1887. Ripon. Dau of Matthias & Hannah Carling. SIDNEY ARTHUR ASHBY. Bap. 12.6.1910 Dallowgill. Son of Arthur & Gertrude Annie of Harlow Hill, Harrogate. STANLEY PICKLES ASHBY. Born 25.7.1911. Bap. 17.9.1911 Dallowgill. Son of Maggie Ashby of Dallowgill. THOMAS ASHBY. Bap 20.2.1728. Died 30.1.1800 Kirkby Malzeard. Son of Anthony of Dallowgill & Bridget. THOMAS KIRKLEY ASHBY. Born C1879 Dallowgill. Son of Arthur & Ann Kirkley. Grandson of William & Mary Ann. THOMAS ASHBY. Born C1843 Dallowgill. Son of John & Margaret James. THOMAS ASHBY. Born C. 1841. Buried 27.1.1849 Dallowgill. Possibly son of Anthony & Hannah Cartman. THOMAS CECIL ASHBY. Bap. 30.9.1917. Son of Arthur [soldier] & Gertrude Annie of Belforth, Dallowgill. WILLIAM ASHBY. Bap.16.4.1775 Dallowgill. Buried 27.4.1847. Dallowgill. Son of John of Dallowgill & Ann Raper. WILLIAM ASHBY. Born C. 1798. Buried 26.4.1867 Dallowgill. Son of John & Ann Allanson. Married to Ann of Dallowgill. WILLIAM ASHBY. Son of William of Dallowgill. Married on 11.2.1854 at Kirkby Malzeard church to Mary Ann Ashby. dau of John of Dallowgill. [Ref. K.Mal. Par. Reg.] ALL 8 of William and Mary Ann’s children had names beginning with A. [sons Anthony, Arthur, Alfred and Asa, daughters Alvira, Alverina, Alberta and Alveretta]. WILLIAM ASHBY. Born C.1817. Ag Lab in 1841. WILLIAM ASHBY. Born C.1828. Buried 19.7.1902 Dallowgill. Son of John & Margaret James. WILLIAM ASHBY. Bap. 20.1.1848 Kirkby Malzeard. Son of Joseph & Ann. WILLIAM ASHBY. Bap.18.8.1850 Dallowgill. Buried 22.12.1850 Dallowgill. Son of Anthony & Hannah. WILLIAM ASHBY. Born C.1854. Knayton. Son of John & Hannah Bellwood. WILLIAM ASHBY. Born C.1871.Galphay. Son of Robert (Gamekeeper) & Ann. WILLIAM ASHBY. Born C1889 Ripon. Son of Matthias & Hannah Carling. In 1911 he was a rope maker at Ripon flax mill. WILLIAM ROBERT ASHBY. Born 17.11.1893. Bap. 25.12.1894 Dallowgill. Son of Anthony & Hannah Cartman. of The Drovers Inn. Came from Mickley National school to Grewelthorpe school 22.10.1906. Left age 14 1907. Served in WW1. WILLIS ASHBY. Born 1831 Dallowgill. Son of Anthony & Hannah Cartman. Married to Mary Watson. of Sawley. ZENA ASHBY. Born 6.4.1920.Died 5.9.1933.M.I. Dau of Robert & Annie.of Hackfall Mount. Started Grewelthorpe school 1.4.1927 from infants class. Robert Ashby & Mary Elizabeth living in Scotton 1948. Photo by kind permission of Paul Nicholson. See letter April 2014 at top.